The Fifth Wave is a dystopian novel in which humans are being destroyed in waves. Cassie, her father and her brother have survived until now but as they anticipate the fifth wave things start becoming more difficult. When Cassie and her family are separated she does everything she can to reunited them, but it's not quite as simple as that. I picked this up when I was at the library last mainly because I'd heard people talking about it online. For a while I wasn't convinced by it. I found the beginning to be a little repetitive and I think the same book could probably have been written in less pages but overall it was definitely a good book. I found I couldn't put the book down for the last 100 pages or so and didn't really want it to end when it did, but at the same time I doubt I'll read the rest in the series (I didn't actually realise it was a series until I started reading it and added it to my goodreads). Overall it's a good book but I didn't find it particularly mind blowing. This book is great for anyone who likes dystopian novels like The Hunger Games or Divergent and if you enjoy that type of book I'd definitely recommend it. 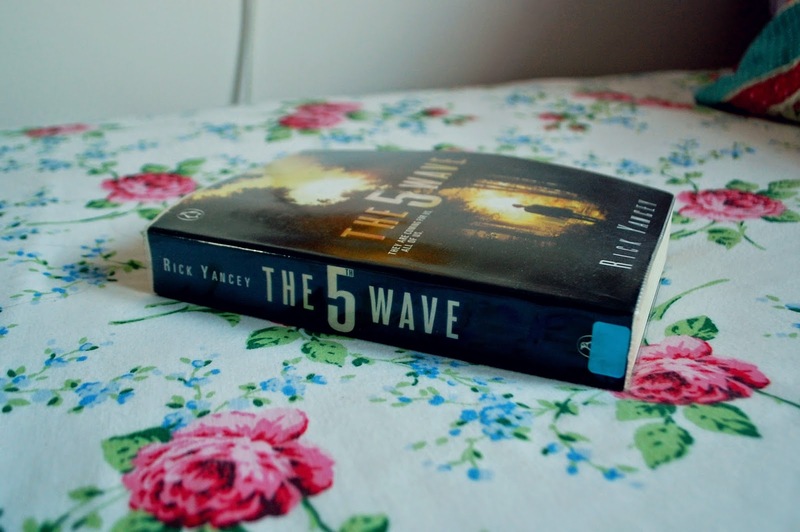 Have you read The Fifth Wave? What did you think of it?